The biggest-ever earthquake on the North Slope was recorded just before 7 a.m. Sunday morning, about 50 miles southwest of Kaktovik. So far, there are no reports of any significant impacts to communities or infrastructure as a result of the 6.4 quake. “This is the biggest earthquake within a few hundred miles, at least, of that area that we have records for,” said state seismologist Michael West at the Alaska Earthquake Center. In the hours after the main quake, there were series of substantial aftershocks in the region, including a magnitude 6 earthquake at 1:15 p.m. — that’s the second largest earthquake ever recorded north of the Brooks Range. West said earthquakes are common in the region, but what was surprising about this event was its size. “This earthquake will definitely cause people to re-evaluate the seismic potential of the Eastern Brooks Range and ANWR area,” West said. A North Slope Borough spokesperson said Sunday they were not yet aware of injuries or damage, but the event was felt across the Arctic. Kaktovik resident Amanda Kalaek was at home when she felt the earthquake hit. “I was actually sleeping and got woken up because my bed started swaying and I could hear the pilings on my house shaking as well,” Kalaek said. Kalaek got up and checked on her three daughters, who all slept through the event. But it wasn’t long before people across the North Slope were taking to social media to talk about it. “Everybody was posting on Facebook, and there were family members in different places that were checking to make sure we were OK, and we told them we were all OK,” Kalaek said. 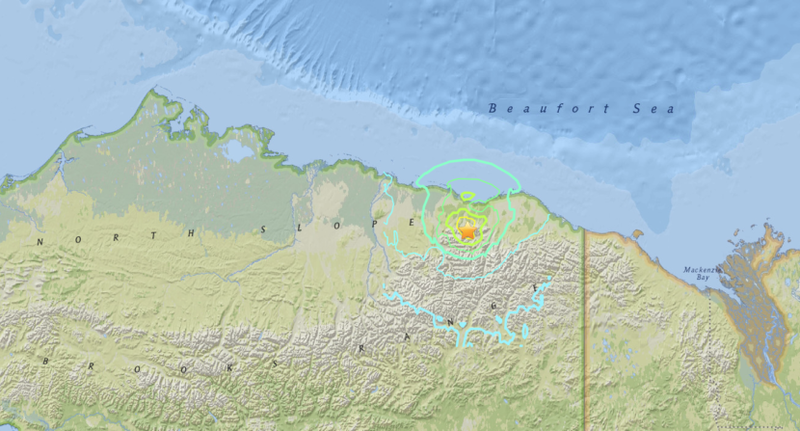 The quake was also felt in the state’s biggest oil fields — the Alaska Earthquake Center reports the epicenter was 85 miles southeast of Prudhoe Bay. But North Slope oil operators aren’t reporting any problems. Kate Dugan, a spokesperson for Alyeska Pipeline Service Company, said Sunday that the trans-Alaska pipeline is operating normally. Alyeska has sent up helicopters to survey for any impacts along the northern part of the pipeline. “At the same time, we’re dispatching crews out to our facilities, to the pipeline itself, to work pads, to check for any settlement or movement,” Dugan said. Reached on Sunday, spokespeople for ExxonMobil, ConocoPhillips and BP were also reporting no damages as a result of the quake. “Our team did a walkthrough this morning and for now it appears everything is fine,” BP spokesperson Megan Baldino said in an email. Reporter Ravenna Koenig contributed to this report. 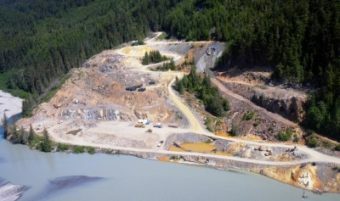 State lawmakers from both the House and Senate are urging the Dunleavy administration to continue the state’s engagement with British Columbia over pollution threats from transboundary mining.